"Never tell me the odds! "When Obi Wan was looking for someone to take him to Alderaan he found the perfect pilot in Han Solo. 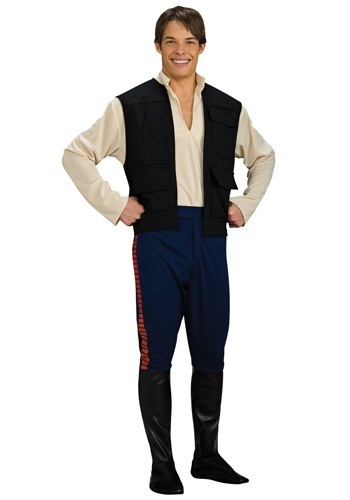 This smuggler was only happy to bring the Jedi Master and his friend Luke Skywalker to the planet they wanted to go to as long as he got paid. But what Han didn't know is that he would then become a huge part of the Rebel Alliance and help bring down the evil Empire. 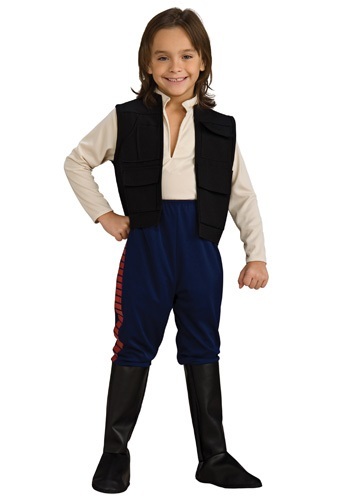 Now your little one can look just like the captain of the Millennium Falcon in this great Star Wars themed costume. Meet Han Solo. He likes fast money and fast ships. He's also fast on the draw with the blaster and fast on the draw with his mouth. Are you starting to see a pattern here? Han lives life in the fast lane and doesn't slow down for anyone, unless you happen to be a hot Adleraan princess that can shoot a blaster and put him in his place. 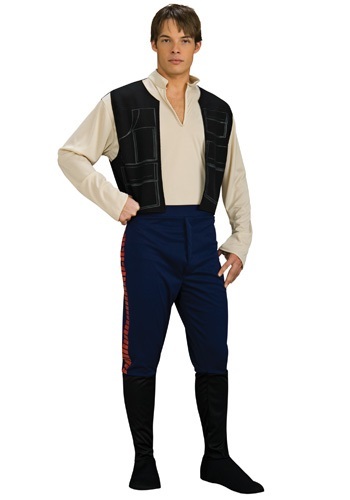 Han Solo's had a lot of adventures, but the character will never be the same after you become the classic smuggler. We think it's about time a girl saves the galaxy anyways! This fun tee is perfect for an easy Star Wars costume, but is still cool enough to keep in your everyday wardrobe. It's downright geek-chic!